Obituaries » James R. Thomas, Jr. Subscribe to updates for James Thomas, Jr.
James (Jim) Richard Thomas, Jr., 74, of Mountaintop passed from this earthy kingdom into the open and loving arms of his Lord and Savior Jesus Christ on January 17, 2019. Jim was born on April 10, 1944 at Fort Sill, OK. He was the only child of the late James Richard Sr. and Jennie Jane (Culp) Thomas. Jim graduated from Elmer L. Meyers High School in 1962. He then studied at Wilkes College and graduated from Wilkes-Barre Business College. He enlisted in the United States Army in a field of Military Intelligence and Security receiving his training at Fort Jackson, SC; Fort Monmouth, NJ; and Fort Detrick, MD. He was stationed in Asmara, Ethiopia, Africa during the Vietnam Conflict where he developed a love and understanding for the plight of the African people. Returning stateside, he was assigned as an instructor at the U.S. Army Defense Information School, Fort Benjamin Harrison, IN. Completing his military obligation, he returned to the Wyoming Valley and enrolled at King’s College pursuing a degree in Accounting. Jim was one of the founding members of the Chi Gamma Lota Fraternity which was established to assist returning veterans nationwide in adjusting to college life. Jim was inducted into the International Honor Society, Phi Alpha Theta- Delta Mu Chapter in his senior year at King’s College. Jim was elected membership in the Outstanding Young Men of America Organization in 1977. He began his career in public accounting and moved onto corporate accounting with RKO Stanley Warner Motion Pictures. When RKO merged with Century Cinecom, Jim opened his own tax and accounting office which he owned and operated for 34 years. 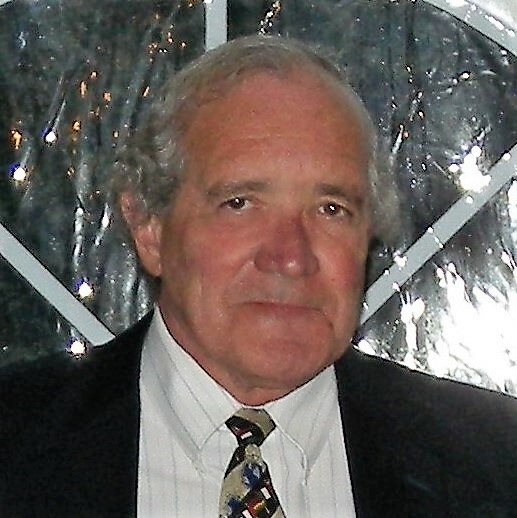 Jim was a Deacon, Elder, and Board Chairman of the First Church of Christ in Wilkes-Barre for more than 50 years. He was a Cub Scout Leader for his sons’ dens and a Cub Master in Pack 433 for six years. He was also a Board of Directors member of the Make- A-Wish Foundation of NEPA. Jim is survived by his “wonderful wife” of 43 years, Catherine (Cathy) Anne O’Brien Thomas; daughter, Jane (Jennie) and husband, Steve Koons; their children, Grayson, Peyton, and Kieren; son, Timothy (Tim) and wife, Megan; their children, Noah, Evan, and Kacy; daughter, Catherine (Katie) and husband, George Albright; their children, George, Denali, and Aurora; and nieces, Anne, Beth, Maureen, and Trish. Jim was a caring and compassionate gentleman who absolutely adored his wife, children, and grandchildren. He and his wife, Cathy, set an amazing example of a loving marriage. He was a dedicated father who actively participated in all areas of his children’s lives. His proudest accomplishment was his role of being Pop to his nine grandchildren and he thought the world of them. He spent his entire life doing for others and being a faithful servant to God. He was well prepared to meet his heavenly father and be reunited with his son James (Jamie) Richard Thomas III, who preceded him in death. A Mass of Christian Burial will be held Tuesday, January 22, 2019 at 10:00 a.m. at St. Jude’s Church, 420 South Mountain Boulevard, Mountain Top, PA 18707, with Father Joseph Evanko, Pastor, officiating. Those attending the funeral mass are asked to go directly to church. Military Honors will be accorded by the United States Army and the Plains American Legion following Mass. Family and friends may call Monday evening from 6 p.m. to 8 p.m. at Corcoran Funeral Home, Inc., 20 South Main Street, Plains, PA 18705. Memorial donations may be made to St. Jude Church or charity of the donor’s choice.